Anyone with children has likely heard of the popular baby brand, Evenflo. Known as a trusted manufacturer of numerous baby products, Evenflo is a common choice for first-time parents because they are so well-known. Evenflo offers a variety of strollers, and the sheer number can make shopping for one overwhelming. Never fear, we’ve researched for you and put together this comprehensive buyer’s guide for Evenflo strollers so that you can choose the right one for your family. 2.2 What Types of Strollers Does Evenflo Offer? 3 What Features Should a Good Stroller Have? 4.1.1 Q: How do I know which car seats fit the stroller I want to buy? 4.1.2 Q: Are Evenflo strollers safe? 4.1.3 Q: I’m having problems with putting the stroller together or attaching the car seat. Does Evenflo offer any support? Here are our picks for the top 5 Evenflo strollers. Note that all of Evenflo’s strollers are side impact and rollover tested to ensure that they provide the safety necessary to protect your baby. 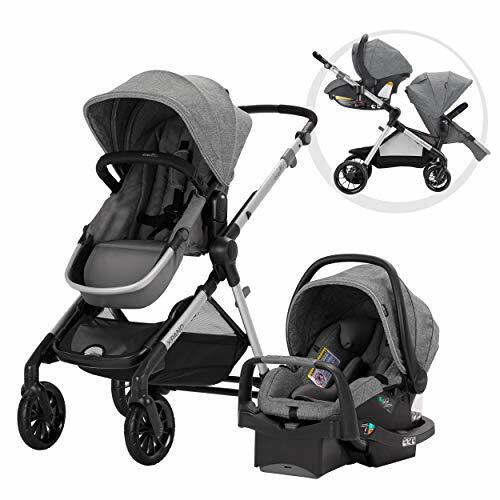 One of the reasons this one makes our list is because it is a comprehensive travel system. 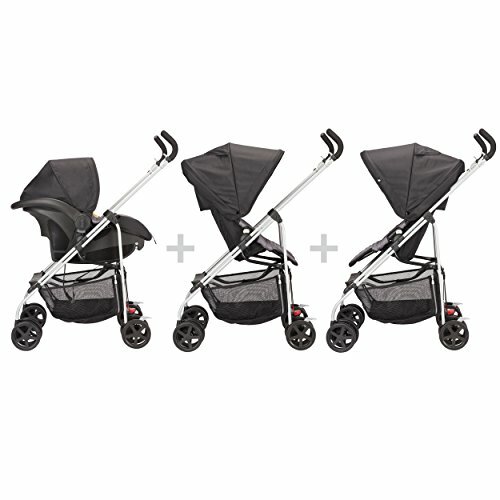 The Evenflo Pivot Xpand transitions from single to double stroller in seconds. It also has up to 22 different configurations. The modular design means that the car seat sits right on the frame and the toddler seat effortlessly converts into infant mode, allowing the baby to be cradled at a secure and comfortable angle. The stroller folds up easily into a slim profile, so it doesn’t take up much space. This stroller also has an extra-large basket for storing anything that you need. The basket expands over two feet and is easily accessible from the back or front. There’s a removable child tray and a full-coverage canopy to protect your child from harsh environments. Some people reported that hooking the car seat to the stroller base was difficult. 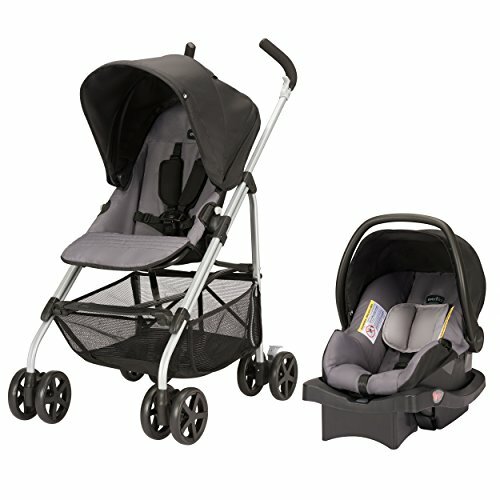 Another complete travel system, we love the RoundTrip because of its economical price tag. It also comes with the LifeMax Infant Car Seat and a base that stays in the car so that you have everything you need to take your newborn home from the hospital. The system offers 3 modes, and the baby can sit forward facing, parent facing, or you can put the car seat directly in the stroller frame for maximum versatility. Another great feature is that this system is one of the lightest available on the market today. 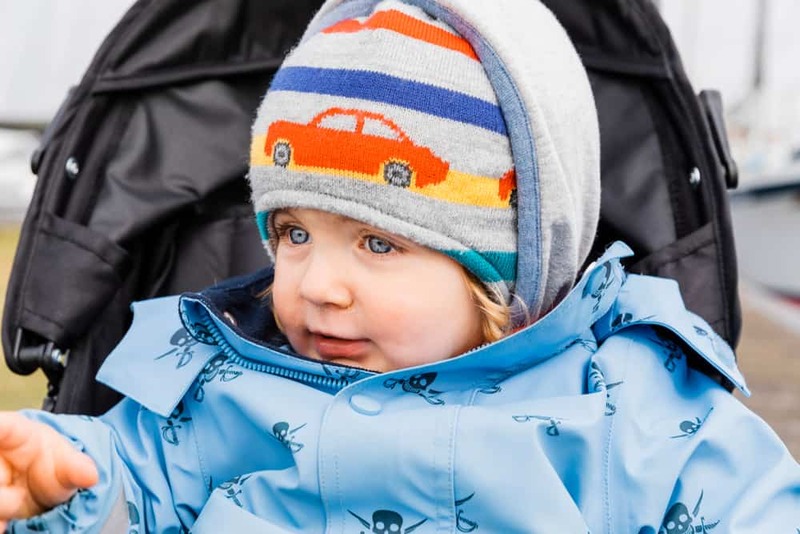 A large 3-panel canopy shields your baby from the elements. Cruiser tires provide a soothing ride for your baby and it’s easy to maneuver with its ergonomic handles. There is a foot release for the self-folding stand-up position making setup easy. The car seat moves from the stroller to the car base with one click. The storage isn’t easy to access. 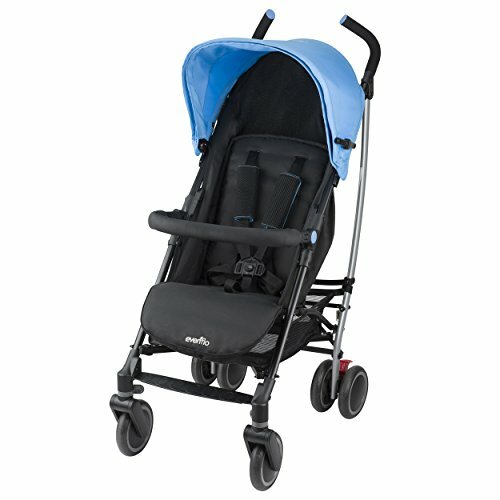 The Cambridge stroller is definitely priced well for the nice features that it offers. It features a multi-position recline and adjustable arm bar. There is a parent cup holder, and it offers a trendy look at an affordable price. There are comfort grip handles and a parent peek-a-boo window to check in on your baby without disturbing them. A large storage basket with rear-access gives you plenty of space to store the necessities for traveling with a baby. There is also a cupholder for the parent. This particular stroller is perfect for the active family as it’s a grab and go for convenience. It also has a full-coverage large canopy to shield your baby. The arm bar is removable. This stroller was a little heavy when compared with other similar ones. 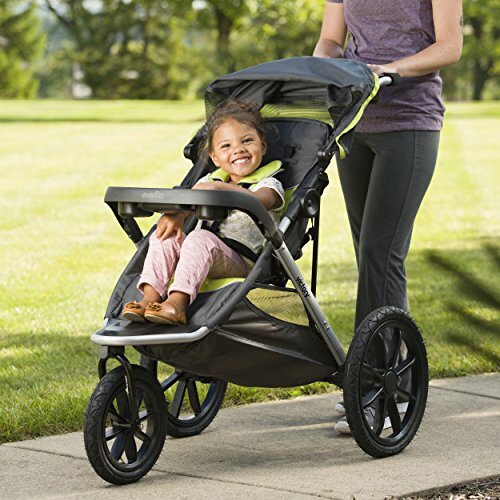 Of course, Evenflo has an excellent jogging stroller that we added to our list for those parents that need to take their little ones with them on their runs. It’s also a great stroller to use for errands around town. This stroller includes a practical storage basket, 2 toddler cup holders with a snack tray, and even 2 adult cup holders. Its super-slim design makes it 10 percent lighter than many comparable strollers. 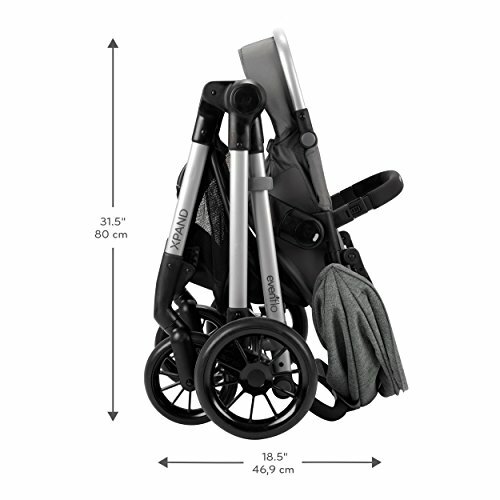 The strollers compact and sleek design make it perfect for any travel situation. The multi-positional reclining seat is cushioned with an adjustable 3 or 5-point harness for safety. There’s also a full coverage canopy to shield the baby. The Victory has a lockable front swivel wheel. At running speeds, the stroller may wobble, disturbing your baby or causing problems with maneuvering. Our list would not be complete without Evenflo’s stroller for two. Space isn’t sacrificed in the design yet its slim enough to fit through most standard doorways. It’s also lightweight for a double stroller. This stroller solution takes the hassle out of travel for busy parents. There’s an oversized canopy to protect your children from the elements, a large storage basket, and a cup holder for parents. One unique feature is the one-hand, self-standing fold that allows you to keep one hand free to attend to your babies or toddlers. There is no need to bend over to put it in your car. Designed for convenience and ease of use, this stroller is perfect for the multi-tasking parent. The swivel lock wheels and front wheel suspension make a cushioned ride for your child. The footrests and reclining seats adjust independently into multiple positions to create an enjoyable ride for both children without them disturbing each other. Front wheel suspension that provides a comfortable ride and makes it easier to push. Some customers advised that the suspension was not as good as they expected. A stroller is a vital purchase for first-time parents looking to travel with their baby. There are several factors to consider like questions to evaluate your needs, stroller features, and benefits. What is your budget for a stroller? What type of activities do you plan on doing with it like jogging, going off-road, etc.? How long do you plan on using the stroller? 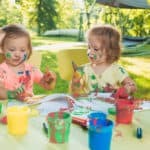 Do you need a stroller for more than one child such as twins? 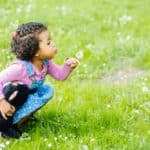 What type of weather conditions do you need to consider? Does the stroller need to be ultra-light and compact for portability? What type of storage does it need to have? What Types of Strollers Does Evenflo Offer? Evenflo has a variety of strollers to choose from so they are sure to have one that meets your needs. 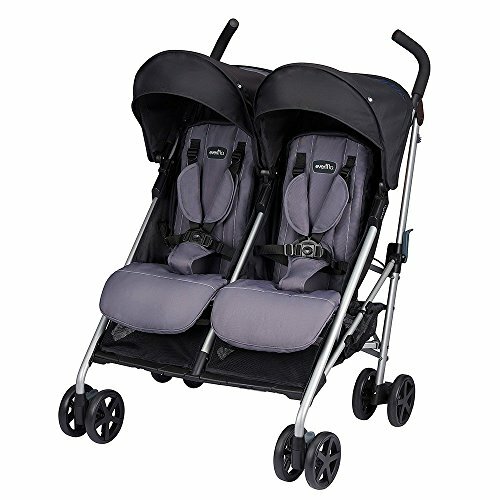 They have lightweight, jogging, double, and urban strollers as well as complete travel systems. Evenflo sells approximately 14 travel systems and 9 different strollers. What Features Should a Good Stroller Have? The best baby strollers have useful and innovative features. Make sure that you think of your baby’s safety and travel needs when evaluating features. For most parents, ample storage is a necessity. You need somewhere to put all of the baby odds and ends not to mention items like your purse, diaper bag, or umbrella. Portability is another critical feature. Parents want strollers that are light and easy to take in and out of the car as well as assemble. No one wants to spend large amounts of time trying to snap the car seat onto the stroller or trying to unfold it. The ability to open your stroller with one hand is also great since parents are always multi-tasking and juggling small children. Durability is vital. Strollers should be built to outlast general wear and tear. Also, do you plan on using the stroller off-trail or in rugged areas? Jogging with a stroller means that it should withstand the pace without excessive jolting and jarring or else it will disturb your little one or cause an accident. A rugged suspension for a smooth ride is another great feature. The stroller should also be crafted with quality materials. A recline feature is essential so that you can lay your newborn all of the way down and adjust the seat as your baby grows. A beautiful canopy to protect your little one and keep out the noise is wonderful as well. Evenflo has made it their mission for almost 100 years to manufacture products that help you on your parenting journey. Their goal is to partner with parents to produce and deliver products that make parenting a little easier. Besides strollers, Evenflo makes car seats, high chairs, Playards, ExerSaucer, safety gates, and more. They trace their roots back to Ravenna, Ohio where on July 4 of 1920 the Evenflo Feeding Division incorporated as Pyramid Rubber Company. Q: How do I know which car seats fit the stroller I want to buy? A: Typically, if you’re buying the stroller online at a store like Amazon, the product description will include compatible car seats if there are any. If you’re in a brick and mortar store, you can look at the box for product and compatibility information. If you still can’t find an answer to your question you can contact Evenflo directly to ask a professional which car seats fit your stroller. You may even find the solution in online articles or forums, but it is probably better to call Evenflo directly. Q: Are Evenflo strollers safe? A: As a trusted baby product brand, safety is of the utmost importance to Evenflo. Each product meets the government testing standards, but Evenflo doesn’t stop there. They test their products at energy levels twice the amount of the federal crash standard. The company’s engineers created the Evenflo Side Impact test protocol. All testing simulates the energy involved in a severe 5-star impact test that the government uses to test automobiles. Evenflo is now the leader in the industry with safety because they incorporate a dynamic rollover crash test. Q: I’m having problems with putting the stroller together or attaching the car seat. Does Evenflo offer any support? A: One really great thing is that the Evenflo website (www.evenflo.com) has videos available that show parents how to troubleshoot problems that they may be having with their stroller. Evenflo has an extensive FAQs page on their website that answers many questions you may have. They also have a 1-800 phone number that you can contact for more information. Based on our extensive research, we’ve chosen the Pivot Xpand Modular Travel System as our favorite. 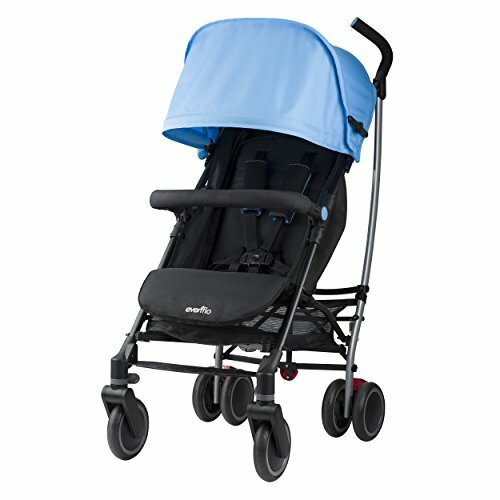 This is one of the most popular Evenflo strollers available and one of the most comprehensive on the market. The economical price is fantastic when compared with other travel systems. It’s lightweight, making it easy to carry and travel with. The stroller folds up quickly and easily with no hassle when your on the go. The extra-large storage basket is a great feature as well as the removable child tray. 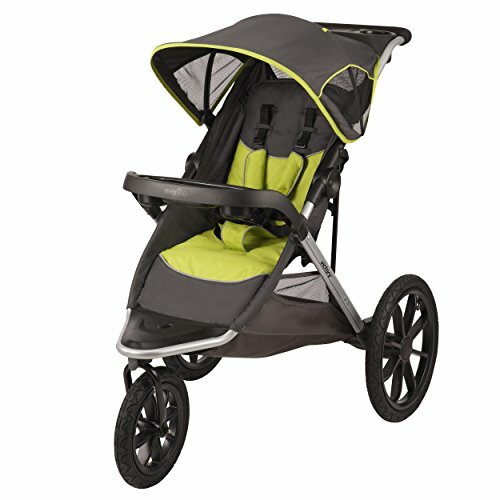 This Evenflo stroller features soft and sturdy cruising tires for stress-free handling and a smooth ride for your baby. This system grows with your child, so there is no reason to buy multiple strollers. It truly is an excellent travel system for the price and Evenflo prides itself in its safety testing. We hope that this information helps you select which stroller is the best for you and your family. If you’re ready to buy the Evenflo Pivot Xpand Modular Travel System, you can do so here.